Editor’s note: Blake Clayton is a fellow for energy and national security at the Council on Foreign Relations. He recently wrote a major new study on the U.S. Strategic Petroleum Reserve published by the Council, available here. The chaos in Libya, Egypt and elsewhere has the oil market on edge, and with good reason. But there is another scare among oil traders, much closer to home, one that could be catastrophic for gasoline prices if oil imports are disrupted this fall. Speculation among experts is rife that the U.S. Strategic Petroleum Reserve (SPR) is no longer able to release oil to the market as quickly as the Department of Energy claims it can. If true – and there is good reason to believe it is – it could destroy the White House’s ability to prevent oil prices from skyrocketing if the commotion in the Middle East worsens. This needs to be fixed – and fast. The SPR is the nation’s last defense against a dire loss of oil supplies capable of sending the economy into a tailspin. The potential for a military confrontation between Israel and Iran, which could require the United States to release oil from the SPR, makes this resource more critical than ever. But analysts are skeptical that the U.S. federal government is as functional as advertised. The Department of Energy has offered only a weak denial of these allegations. For a lesson in how a lack of transparency can end up hurting the very market it aims to calm, Washington need look no further than Saudi Arabia. Saudi Arabia holds the lion’s share of OPEC spare capacity – in other words, oil left unused but which could be brought online quickly and sustainably if need be. Its exalted place among producers stems in part from its ability to convince the market that it can plug an unforeseen gap in supplies, and thus keep prices stable. But traders have balked for years at Riyadh’s claims that it can quickly ramp up its production as high as it says it can. Analysts are rightfully skeptical: after all, its assertions are based on untested assumptions, and the Kingdom has an incentive to overestimate them. Moreover, the Saudis are loath to give outsiders information about their domestic oil industry, a veil of secrecy that provides fodder for market speculation. Americans love to pick at Saudi opacity, yet Washington itself faces similar problems. The SPR is a powerful tool for reassuring the market that the United States, along with other major consuming countries, stands ready to stabilize the market in the case of a severe supply disruption. But market participants are becoming increasingly cynical about whether the SPR is up to the challenge. Edward Morse, a former U.S. energy official who now leads Citigroup’s commodities research team, argued compellingly earlier this year that recent years’ changes to North American oil infrastructure have rendered the SPR “significantly less usable than advertised.” Many of the pipelines that could deliver the oil to market quickly can no longer move SPR oil. Instead, the oil would need to be exported by sea, a method that may take seven times longer than it would via pipelines. This difference in flow rates would have big consequences: the SPR would not come close to covering the loss of Iranian crude exports, for example, should they be interrupted. U.S. officials should investigate the issue via a test drawdown and sale, and publicly disclose their findings. If market participants harbor doubts about the flow capacity of the U.S. SPR, they may discount its ability to help offset any sudden supply shortages, rendering it a less effective tool for calming the market. As any Saudi oil official knows, the market will remain skeptical of words until they are backed by actions. Greater transparency about the SPR’s capabilities, particularly in light of profound recent changes in the North American oil landscape, is critical. « Previous entryWho was the least successful foreign policy president? "The chaos in Libya, Egypt and elsewhere has the oil market on edge", I doubt what the author said. Geopolitics might play a role, but the situation has been a tense one for the last six months. 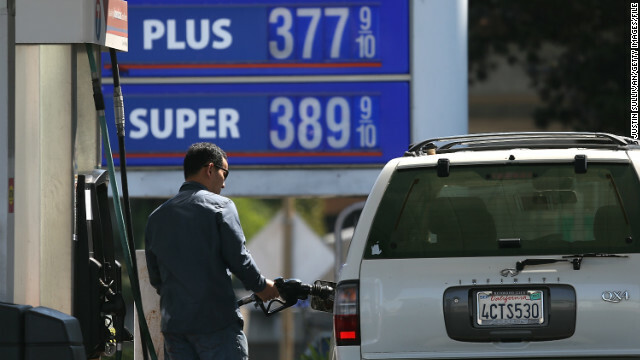 Yes, oil prices might have gone up, as winter is approaching. The world economy is slowing down and so is manufacturing, which would lead to lower oil consumption. Ensuring that your puppy is well trained will resulted in a more happy and a lot more satisfying romantic relationship in between you and your family pet. Dog training can also be a wonderful way to develop a connection along with your family pet. In no way make using a wine that you just do not take pleasure in the flavoring of. When vino chefs downward during the cooking food procedure, it concentrates. Any tastes that you do nothing like could be more common, and that means you is not going to just like the preference of the food you possess worked well so difficult to get ready.